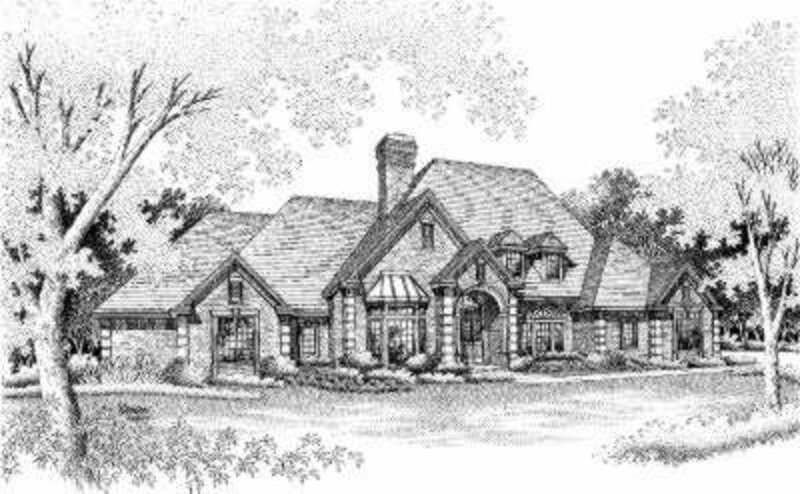 This superb elevation begins with an elegant and distinguished exterior. 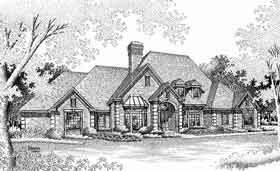 From the covered porch to the formal entry and the gallery area...a grandeur sprawls forth! The expansive formal living room features a fourteen foot ceiling and a raised hearth fireplace. Informal relaxation is provided for in the family room which is highlighted by a wetbar, a cathedral ceiling and a second fireplace. The gourmet kitchen includes an island and a peninsula counter. Sleeping accommodations include a private, lavish master suite with his-n-her walk-in closets and his-n-her private baths. A secondary bedroom is located toward the front of the home with two more bedrooms at the opposite end of the home, each with private access to a bath and a walk-in closet. This is available with a slab foundation only.